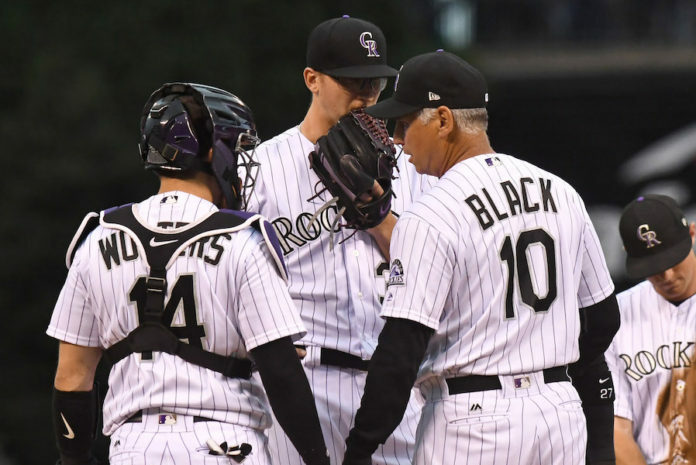 Bud Black earned high praise — including Mile High Sports’ 2017 Professional Coach of the Year — for guiding the Colorado Rockies to 87 wins and Wild Card berth in his first season as manager, thanks largely to how he managed his talented but extremely young starting rotation and a surprisingly dominant bullpen. 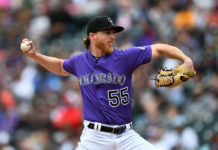 Long a bugaboo for the franchise, pitching — especially relief pitching — was a strength for Colorado in 2017 as the Rockies made their first postseason appearance since 2009. Black, a longtime player and manager, enters his second season at the helm with a greater understanding of how to manage a pitching staff that plays half its games at one mile above sea level in the most hitter-friendly ballpark in baseball. 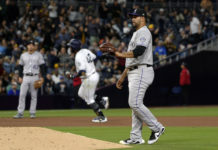 Black, having managed the San Diego Padres from 2007 to 2015, was already familiar with some of the challenges of managing games at Coors Field, but suggested Thursday that handling a staff there is more about playing with the longview of an entire season in mind. Even if that means letting a pitcher fail greatly in a single outing. “Generally speaking, you might have to stay with the starting pitcher a little longer,” Black said. “Each game is different, right? You don’t know. But, generally speaking, you would like your starting pitcher to pitch into the game as deep as you can because you try to avoid going to the bullpen early. In other words, don’t compromise the war to win a single battle. And like on the battlefield, victory often requires being clandestine with certain tactical information. Although that may be a bit furtive, the results are undeniable. The Rockies in 2017 allowed just 757 runs, their best team total since 2010, which was also their last season above .500. Colorado ranked ninth in the National League in team ERA in 2017, an impressive feat considering their history. From 2011 through 2015, the team ranked 15th in team ERA — dead last every year except 2011 when the Houston Astros were still in the National League. The 2016 club fared only slightly better, ranking 13th in the NL that season. The turnaround has much to do with how Black manages and communicates with his pitchers and his coaching staff, but that little bit of secrecy helped, too. 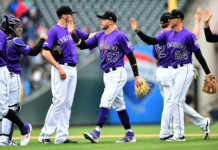 It may pain those on the reporting side to not have every single piece of information available for the fans (and opposing managers), but that’s how Black and the Rockies pitching staff must win the war — despite having the battlefield stacked against them playing at the toughest ballpark for pitchers in baseball.